Inflict 500 damage to your opponent. If this card was activated as Chain Link 2 or 3, add this card to the Deck and shuffle it. 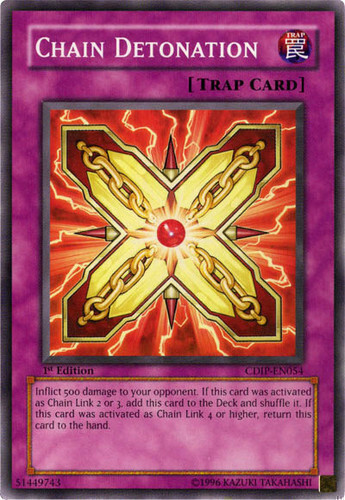 If this card was activated as Chain Link 4 or higher, return this card to the hand.